Many people put up budget PC gaming buying lists and that’s fine. But do you think the people who recommend those buying lists actually know those products by heart or are they just picking out products based on the budget and calling it a day? Well, that’s not us. Since we’ve always wondered what you could do with PHP 20,000 or US$400 these days, we’ve decided to build a super entry level gaming PC. And you know what, it’s actually very good. So come one, come all. 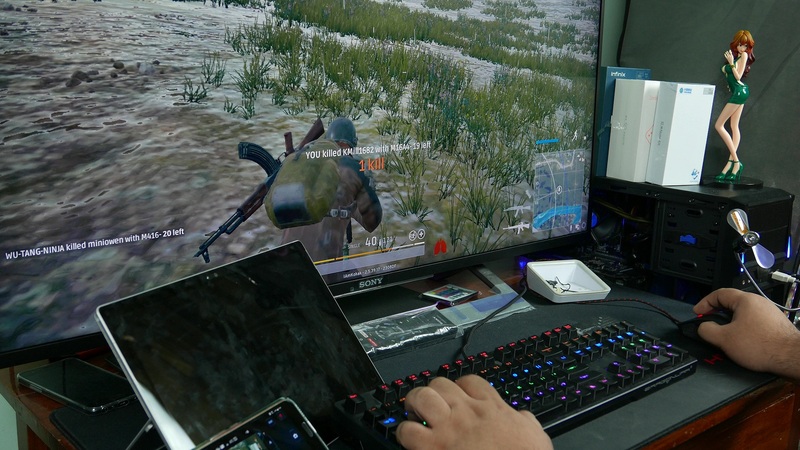 Newbies who’ve never built a system in their life, or tight budgeted gamers who want to play the latest games like Playerunknown’s Battlegrounds will love our system. Watch the video embedded above to see it in action! Hey, what are you doing looking here? The specs are all in the video. Go watch it – or if you have, what do you think of the super budget system? Or should we target US$300 / PHP 15,000? Crazy, but we can try. Anyway, we hope this helps out a lot of people looking to build an awesome system on a budget! There’s a lot of problems with your build of course. But I think you already know that. First of all the method you “acquire” parts involves a generally second hand market and most of the parts I see are second hand. This means you’re leaving a huge risk that components could be broken or recently broken, repaired, resold, junked, etc. You’re technically telling people to risk buying unknown parts from unknown people for unknown money. Which you clearly didn’t do either. You just did a search on TipidPC for parts and wrote a blog about it. Not even you wanted to risk your own money to build this computer you blogged about. Why would anyone who reads your blog risk their own money when you wouldn’t risk yours? Lastly, you provided no benchmarks because you couldn’t exactly benchmark a system made of thin air. But I like I said, I bet you already knew all of that. I suggest next time you actually come up with real, actionable repeatable advice for people who actually want a real PC that works and plays games, instead of a fictional computer that’s made of junk and possibly not work because of your choice to push for 2nd hand products with no advice on how to make sure to get a good, working part. Its very clear what you wanted to do was to clickbait your blog by creating an impossibly priced PC and mislead your readers with a build that has 0% practicality to it and requires 100 times more work just going to and from random sellers on TipidPC and tons of elbow grease just to make sure the product your buying actually runs. That’s not real advice, that’s just a stupidly priced build for stupidly priced builds’ sake. And I imagine that’s why people wouldn’t take your blog seriously because of a clickbait article like that.